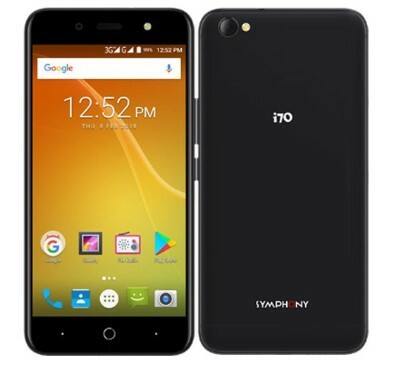 Symphony i120 Price in Bangladesh! You know that Symphony is the most popular Brand in the World. We provide the Symphony i120 smartphone full Details, Feature, Specs and full specification. The Symphony i120 Price in Bangladesh is 9990 taka. It has a 5.45-inch Full Vision HD+ IPS capacitive touchscreen Display. The smartphone has a 2 GB of RAM and 16 GB of ROM. The Smartphone has a Dual Camera. The Rear Camera Size is 13MP and Front camera Size is 8 MP. It has a 3200 mAh Battery. If you want to buy this smartphone and before buying the smartphone you want to check Symphony i120 price in Bangladesh, Feature, Specs and more, just continue reading the full content and get the full idea about Symphony i120. 45-inch Full Vision HD+ IPS capacitive touchscreen Display. Sensors: Fingerprint (rear-mounted), G-Sensor, Proximity and Light Sensor. Other Features: Dual 4G SIM standby, Narrow bezel, Dual Flash, OTG, Fingerprint. Status: Available. Released 5th August 2018. Colors Red + Black, Blue + Black and Gold. Display Type Full Vision HD+ IPS Capacitive touchscreen, 16M colors. Resolution & PPI 720 pixels X 1440 pixels & ~ pixel density. Battery Li-Polymer 3200 mAh Battery. DO, you have any question about Symphony i120, Just comment here? We solve your problem as soon as possible. Finally, we hope that you have successfully understood about Symphony i120 full concepts. Thanks for staying with us.